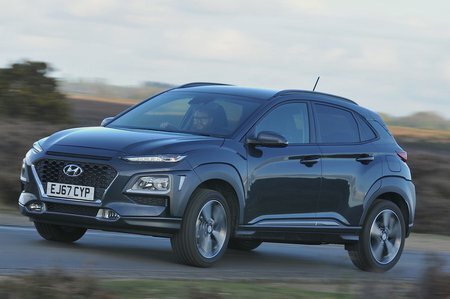 Hyundai Kona Running Costs, MPG, Economy, Reliability, Safety | What Car? The Kona is pricier like for like than the Seat Arona. We'd recommend sticking with the 1.0 petrol engine and SE trim, although CO2 emissions and fuel economy still aren't as impressive as you might hope. The diesel engines offer better fuel economy and CO2 figures, but are more expensive to buy outright, so we’d stick with the petrol unless you’ll be doing a serious amount of miles. The Kona isn't expected to hold onto its value as well as key rivals, either. The 1.6 petrol, with its standard four-wheel drive layout and automatic gearbox, emits a disappointing 153g/km of CO2. This makes it one of the least efficient cars in this class, so it's hard to recommend for anyone, but particularly for company car drivers. Buying on PCP finance? The Kona will cost you a lot more a month than an equivalent Arona, although leasing rates are reasonably competitive. 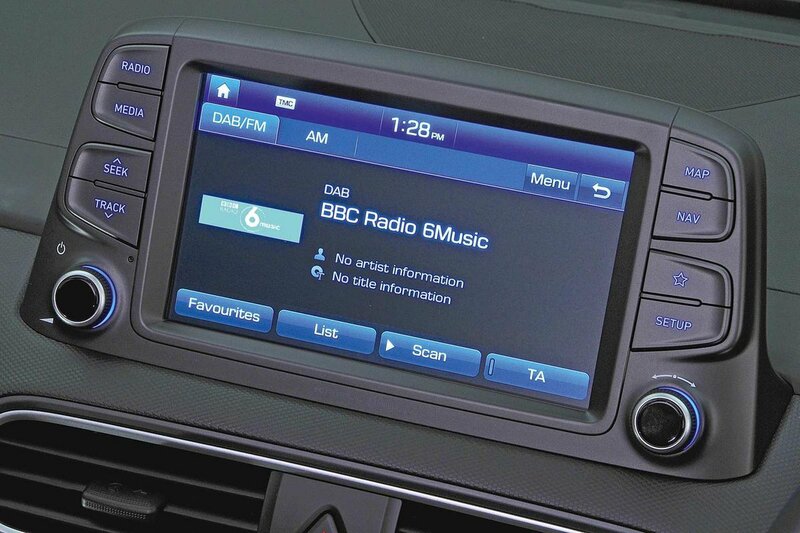 Hyundai throws in features such as 16in alloy wheels, air conditioning, cruise control, electric front and rear windows but you have have to pay extra for automatic emergency braking and you miss out on a proper infotainment system. However, we’d recommend paying a bit extra for SE, which gets you get a 7.0in colour touchscreen with Apple CarPlay and Android Auto (see infotainment section), as well as 17in alloy wheels, LED daytime running lights, automatic headlights, rear parking sensors and rear camera. Next-rung-up Premium trim adds 18in wheels, climate control and keyless start and entry, but starts to make the Kona look quite pricey. Finally, Premium SE and Premium GT (the latter is available only with the turbocharged 1.6 petrol engine) get a head-up display, power-folding door mirrors, a heated steering wheel as well as heated and ventilated front seats. 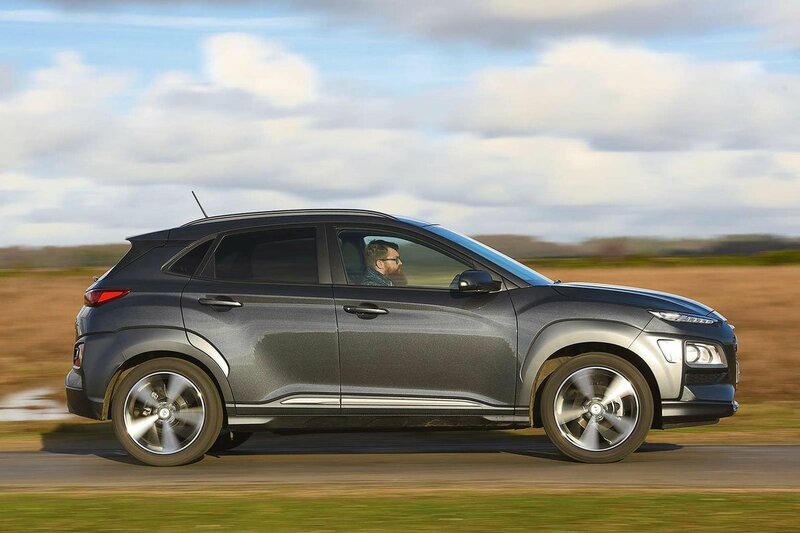 Hyundai did very well in our most recent reliability survey, finishing seventh out of 32 manufacturers. While we don’t have individual data for the Kona, there’s no reason to suggest that it would be any worse than the brand’s other models. The Kona also gets Hyundai’s impressive five-year, unlimited-mileage warranty as standard. The Kona gets front, front side and curtain airbags as standard, along with lane-keep assist, while blindspot monitoring and rear cross-traffic alert are standard on Premium SE trim and above. However, only range-topping Premium GT models come with automatic emergency braking – a critical safety feature that many rival manufacturers fit as standard across their ranges. The Kona still managed a five-star Euro NCAP safety score. However, look closer and, although it scored slghtly higher than a Seat Arona for child occupant safety, the Arona fared better at protecting adult occupants and pedestrians.